Terrible Yellow Eyes: "Where are the Wild Things?" 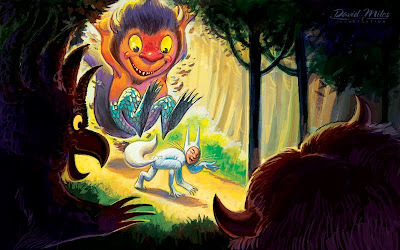 "Where are the Wild Things?" I hope you'll enjoy David Miles' contribution, he does great work and I especially like his color choices. See more over at his blog.